In mid-winter, Matariki rises in the pre-dawn sky, and its observation is celebrated with incantations on hilltops at dawn, balls, exhibitions, dinners and a vast number of events. 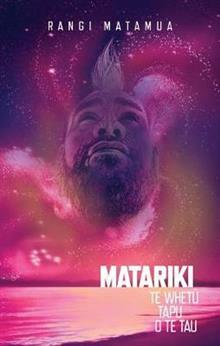 The Matariki tradition has been re-established, and its regeneration coincides with a growing inter... read full description below. Dr Rangi Matamua (Tuhoe) is an associate professor at the University of Waikato, and his research fields are Maori astronomy and star lore, Maori culture, and Maori language development, research and revitalisation. He travels extensively throughout the country giving public lectures about Matariki and Maori Astronomy.